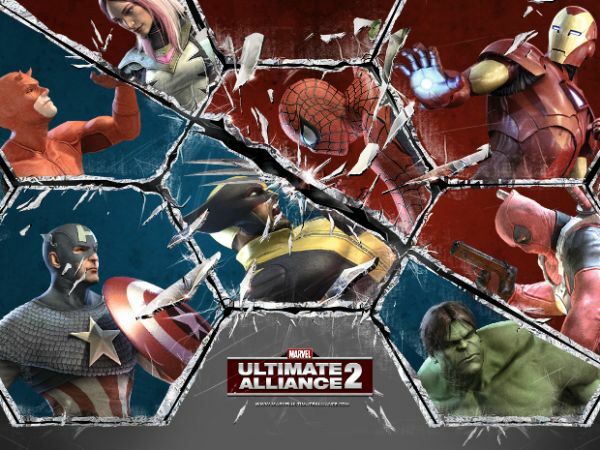 We've got our first big co-op release of the fall season today with Activision's Marvel Ultimate Alliance 2. The four player co-op brawler/RPG has players choosing from over 25 characters and teaming up to combine powers in a story set in the Civil War story arc. The game has online and offline co-op for the Xbox 360 and PlayStation 3, and local co-op for the rest of the platforms including the Wii, PS2, PSP and DS. There are certain characters that are exclusive to certain versions of the game, and we have the full list laid out for you. 1. Blade — Exclusive to the Wii, PS2 & PSP versions. 3. Cyclops — Exclusive to the Wii, PS2 & PSP versions. 15. Juggernaut (Villain) — A GameStop, Amazon UK or EB Games AUS pre-order bonus. 20. Psylocke — Exclusive to the Wii, PS2 & PSP versions. 21. Sentry — Exclusive to the DS version. 22. She-Hulk — Exclusive to the DS version.